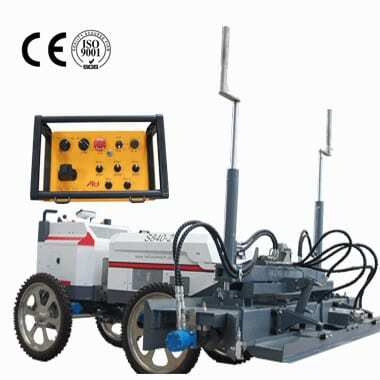 Concrete laser screed machine can effectively control the cracking of concrete floor in flooring construction. However, in addition to mechanical factors, the construction process should be standardized to achieve advanced technology, economical rationality, and safety. 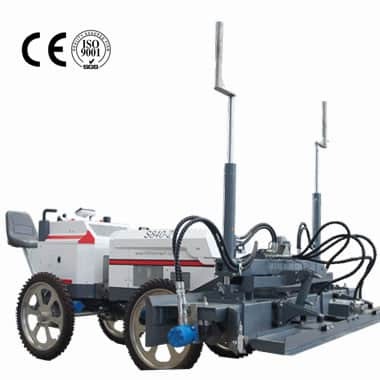 Here, the hiking laser screed machine company summarizes the technical specifications that need to be paid attention to during construction so that customers can make perfect Floor. Here we will explain in detail what is laser screed flooring, how to carry out large-scale concrete floor leveling, what should be paid attention to when constructing large-area concrete floors, and other aspects of concrete and concrete construction techniques and specifications. It should be noted that in the construction of large-area concrete floors, in addition to the norms provided in this article, the relevant regulations and standards of all countries should be strictly observed. This column will be constantly updated to help customers make the perfect floor. The article (Basic regulations for the construction of large-area concrete floors using Concrete laser screed machine) introduces the basic rules of laser screed flooring. If you want to know the relevant regulations for materials used in large-area concrete floor works, please click " General requirements of concrete materials for laser screed flooring"
The following article describes the things that concrete materials should pay attention to during transportation. If you want to know more, please click " Preparation and transportation of concrete during laser screed flooring"
If you want to know the preparations before the construction of a large area laser screed flooring, please click " Construction preparation of the laser screed flooring"
If you want to know what to pay attention to during the construction process, please click " Technical specification for seamless construction of laser screed flooring"
If you want to know the inspection rules of the construction site, please click " On-site monitoring of concrete laser screed flooring"